Dentures are an alternative for people who have missing teeth due to periodontal disease, extractions and/or injury. These types of issues can make everyday activities such as chewing and speaking difficult, not to mention affecting your physical appearance. Dentures made from porcelain or plastic can be fitted in order to overcome these issues. They are worn by people of all ages, and with the recent advancements in dental technology they now look very close to a natural set of teeth and can be made to fit very comfortably. A set of dentures will improve your oral health and restore your smile. It is important that your prosthesis is fitted by an experienced dentist, and the friendly team at Corporate Drive Dental Clinic are here to help. We create both partial dentures and full dentures for people of all ages, and we are ideally situated to serve the needs of people in Heatherton, Moorabbin, Cheltenham, Clarinda, Bentleigh East and surrounding areas. Obtaining dentures is relatively quick, and it is also very affordable. On your first visit to the dentist, impressions will be made of your dental arch and any remaining teeth. Artificial teeth will then be created, and they will be bonded to a plastic base. We will make every effort to ensure that the artificial teeth match as closely as possible to the colour of your gums and any remaining teeth. Patients who have lost all their natural teeth will require full dentures. Full dentures will replace both your upper and lower teeth, and can be fitted either directly after extraction or at a later date. It will rest on top of your gums, or it may be attached to dental implants. Dentures can be made from either acrylic or metal depending on your preference. At your appointment, we will advise on the most appropriate solution for you. 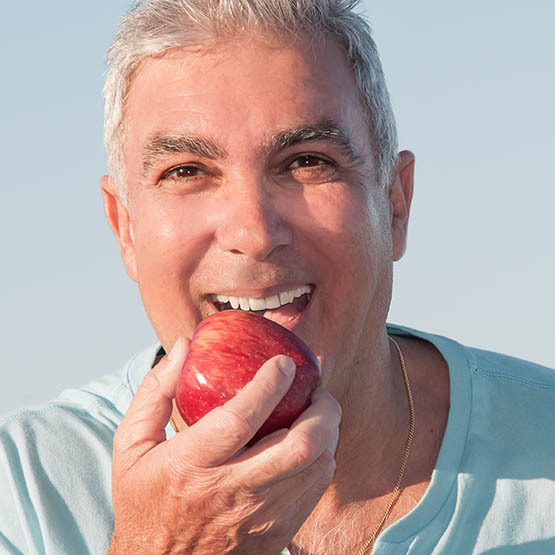 A pair of full dentures which has been properly fitted will provide your facial structure with added support, resulting in a more youthful appearance with fuller lips and cheeks. We take great care to ensure that your new dentures will be comfortable, and we also ensure that the gum base colour is as close to your real gums as possible. Patients who retain some of their natural teeth may be able to use partial dentures. Partial dentures are attached to your existing teeth via the use of clasps, and they are an effective way to fill the gaps and make it easier to chew. You will also enjoy increased confidence as you will appear to have a full set of teeth when smiling. Once your dentures have been made, your dentist will be available to answer any questions you may have. You will receive a care guide and information on the best way to wear your new dentures. It may take a while to get used to them, but you will eventually come to enjoy the functional and aesthetic benefits they provide. If you notice your dentures feeling loose, we can adjust the fit for you. No matter which type of dentures you receive, maintaining hygiene is of critical importance. Dentures should be removed before sleep, and the dentures will require cleaning with a special denture solution on a regular basis. You should also take care to maintain your gum area. Your dentist will advise you on the best hygiene practices, and in some cases we may even recommend crown or bridge work as an alternative to dentures. Corporate Drive Dental Clinic specialise in affordable, high-quality dentures that will improve your ability to chew and speak, as well as your appearance. Call us today to discuss whether dentures are the right option for you. We look forward to welcoming you at our Heatherton Dental practice.